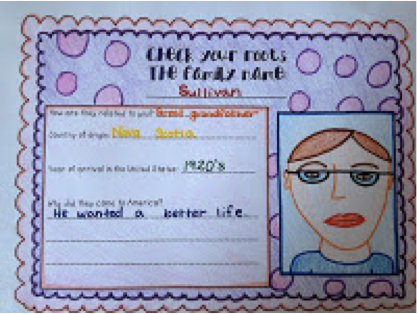 Endeavors In Education: Check your roots…TPT freebie! 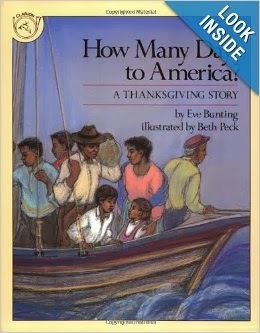 I usually read this book to my fourth grade class around Thanksgiving. It is a story by Eve Bunting about coming to America. My class is made up of a fairly diverse population. I have families from Haiti, Jamaica, Nigeria, Ireland, England, Lebanon, etc. I read aloud the story and we discuss when they think the story took place. Many students suggest that it happened a long time ago. We are then able to have a discussion that people are still coming to America for various reasons (religious freedom, peace, job and other opportunities, etc.). After the discussion I introduce the activity that they will be completing by showing them my sample. I am clearly no artist. Then I send them home to talk to their parents and find someone in their family who came from another country. For some children they are the ones who came, sometimes it's the parents, and others need to go further back in their family history. Once they have all finished and colored them in nice and neat we mount them on construction paper and display them on our bulletin board. These were out at conferences and were a big hit with the parents. On another note we got our published books back! They came out great and the students were so excited!